This is Aakash. I was born for the novel “Today Calls Tomorrow“. Its been past 50 years am married and am in my late seventies. My wife Anwesha has been a great support to me throughout my life. Our life in Pune has been way good than expected. Our work towards NGO is keeping many economically backward people around happy. Happiness is a chain reaction and in turn we are happy as well. Every thing around, with Gods grace has been pleasant. “I have seen a ghost“. Its been around since a very long while for now. I hope you have not made up your mind that “This guy, Aakash, in his seventies, is loading some pile of crap here!”. No, please don’t say that. That’s what my wife tells me when i say there is ghost around. I hope you will be different. You will listen and trust in what i say. Won’t you? Now, i don’t want to tell more about myself. I Hope you have read me in “Today Calls Tomorrow“. If not, that’s still okay. I will pull out somethings as I go. let’s get this started. This will go slow.. a little. Hard to pull time! 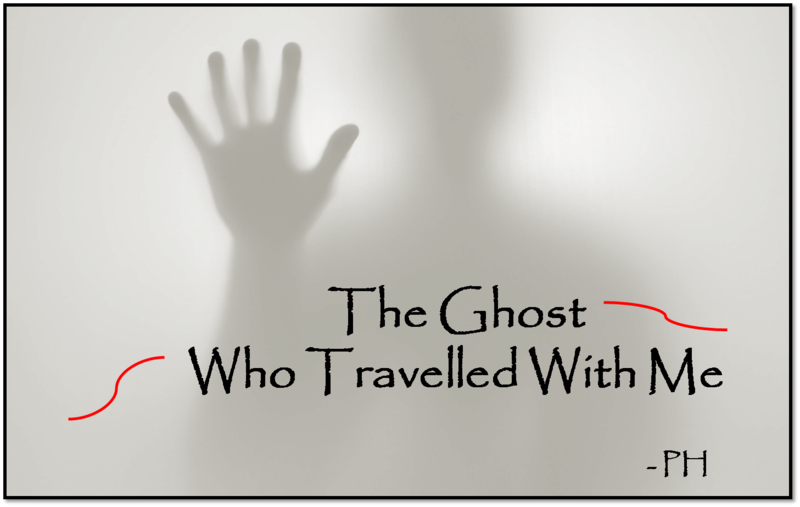 A ghost story ? ?it will be fun to read. Waiting for your upcoming episodes Sir.. Wow!!! Aakash is back!!! This is so brilliant…a horror sequel to a love story!!! Half way through the story I thought Akash would say, I’m occupied by a ghost 😛 😛 hehe well sir it says the story has had an unpredictable beginning. am glad that i have readers like you! I am so impressed..didn’t know u write novels. How many have u written? This one is second! :-). For the first time in my life, I believe I have seen one also–not scary–but an odd, strange experience–especially because I usually dismiss such things. I will read your writing about this.